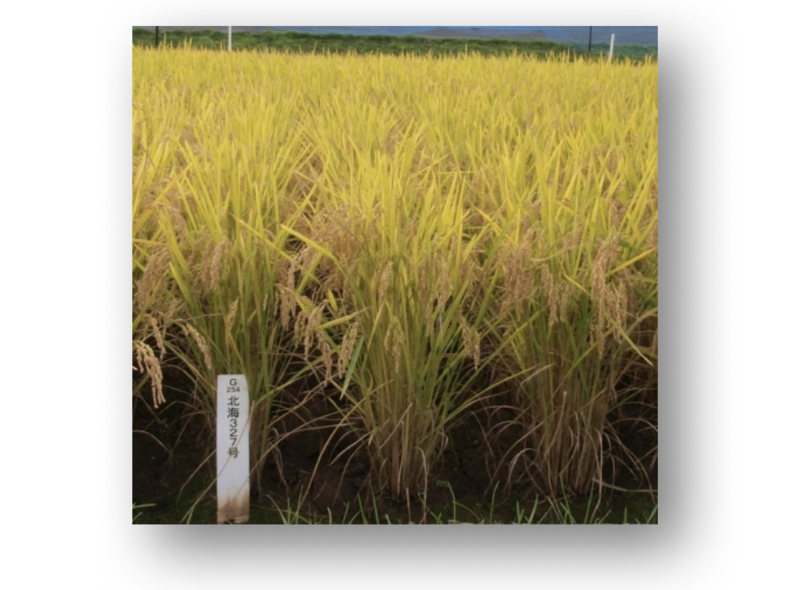 We are developing rice cultivars and breeding lines particularly adapted for the Hokkaido region: cultivars which meet industrial demands and allow stable production at a lower cost; high-yielding cultivars for livestock feeding; breeding lines with direct sowing adaptability to contribute to labor-saving; breeding lines harboring unique quality properties such as high amylose content. Furthermore, we evaluate processing and distribution suitability of the cultivars and breeding lines aimed to industrial use. So far, we have developed good tasting cultivars, namely, "Oborozuki" and "Yukisayaka", a high-yielding cultivar for commercial use "Yukigozen", high-yielding cultivars for livestock feed "Tachij?bu" and "Kitagenki", a high amylose cultivar "Kitamizuho", and, a low amylose cultivar "Yukimutsumi". We develop high yielding cultivars of 800 kg per 10 a or more with cold tolerance at booting stage and resistance to blast disease. We develop high-yielding cultivars of over 1000 kg / 10 a with excellent pest resistance for livestock feed. For direct sowing, we develop high yielding lines with excellent seedling establishment and lodging resistance. We develop novel rice processing technology and products by utilizing genetic diversity in endosperm starch such as high amylose contest and evaluate the developed cultivars and breeding lines for their processing properties.